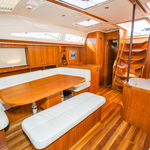 In 2008 has been produced sailboat Elan 514 Impression named Lenka. 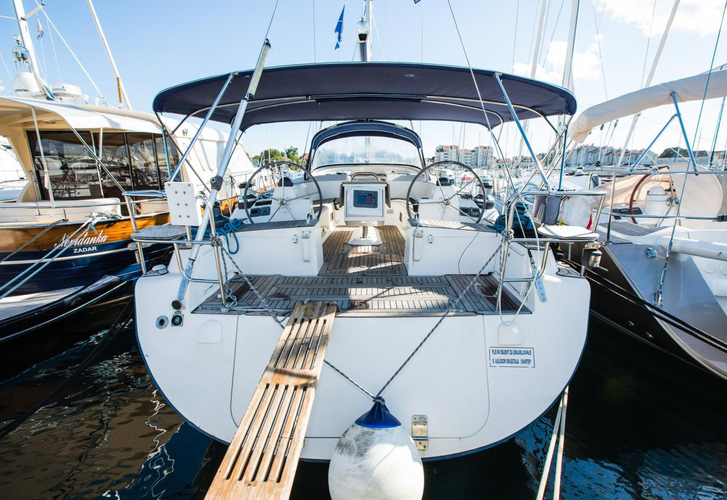 This boat is based in marina Biograd around Zadar in Croatia. 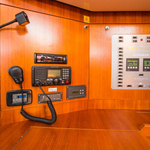 You can take in up to 12 crew members on the boat Lenka. 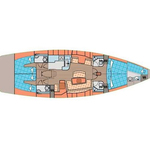 Layout of berths is 12 (8+2+2). 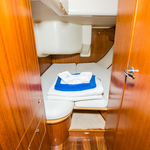 There are 5 cabins located under sailboat's deck. 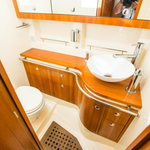 Lenka has 4 bathrooms. 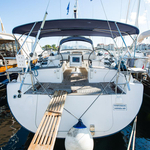 Use this site to find different yachts under the link: Yacht charter Zadar. In this boat is applied engine 110. 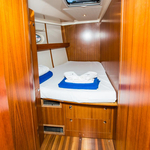 With 16.10 meters of lenght and 4.68 meters of width Lenka offers enough space for comfortable sailing. 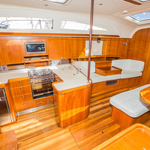 Elan 514 Impression Lenka is equipped with: Autopilot, Plotter gps in cockpit, Radar, Gps plotter, Bed linen, Heating, Radio / cd player, Air conditioning, TV, Dvd, Dinghy, Anchor electric windlass, Bimini top, Teak cockpit, Teak deck, Electric winches, generator, Inverter 12v-220v, Bow thruster, Microwave, Furling mainsail. . Deposit is at the level of 2500.00 EUR. 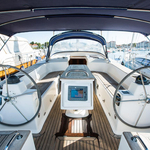 You can see different boats over here: Yacht charter Biograd.